"These are pre-authentic performances, recorded in stereo 1957-1960, but they were highly regarded in their day and remain well worth hearing in these very good transfers. At the time, the comparison was with Kathleen Ferrier, but I prefer Heynis to Ferrier. My own comparison is with Dame Janet Baker with the ASMF and Neville Marriner in Cantata 170. Baker is the contralto for me, but Heynis is not far short – a touch more plummy and the diction less distinct, but not much in it. Szymon Goldberg, a conductor whom I have always thought under-rated, takes the music at a pace slightly faster than Marriner and not much slower than Robert King. Gillesberger is a slightly less stylish accompanist in the arias but that’s a small price to pay for the two very fine cantata recordings. " 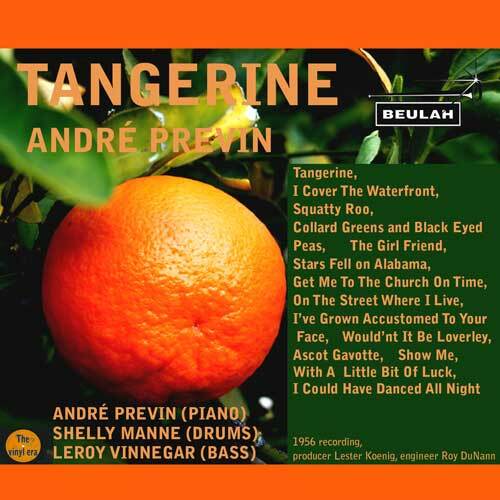 " A new reissue on BEULAH 1PS25 [72:19] comes from a slightly earlier period: a 1956 recording entitled Tangerine, containing the title piece, Cover the Waterfront, Squatty Roo, Collard Greens and black-eyed Peas, The Girl Friend, Stars fell on Alabama, and eight pieces from My Fair Lady in lively performances. Previn is joined by Shelly Manne (drums) and Leroy Vinnegar (bass). The first half was originally entitled Shelly Manne and his Friends, but Previn is really the star, albeit with some fine support. "The audience for this album is self-selecting and, I predict, large. They will not be disappointed with this enjoyable and well-transferred release. Only those with a hard-line definition of jazz will demur. There’s more where this came from on Vogue and Philips LPs; may we have more, please?" 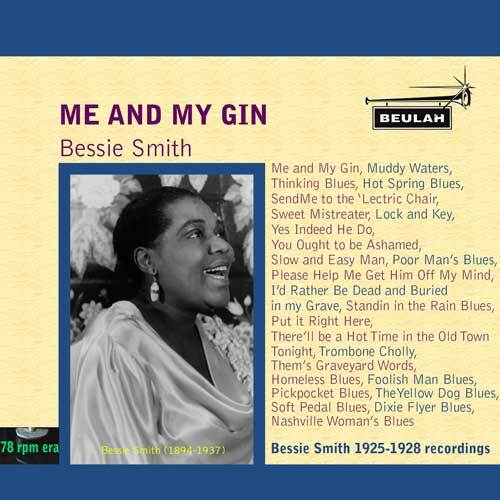 "Hardline jazz aficionados will be much more taken with a selection of recordings made by Bessie Smith entitled Me and my Gin and recorded between 1925 and 1928. Naxos Blues Legends cover this period in her career on three CDs, around three hours in total, but those looking for a shorter selection should be more than happy with the self-recommending Beulah release. Even the earlier recordings are well transferred, but 78 technology was advancing even during the three-year span of this album." 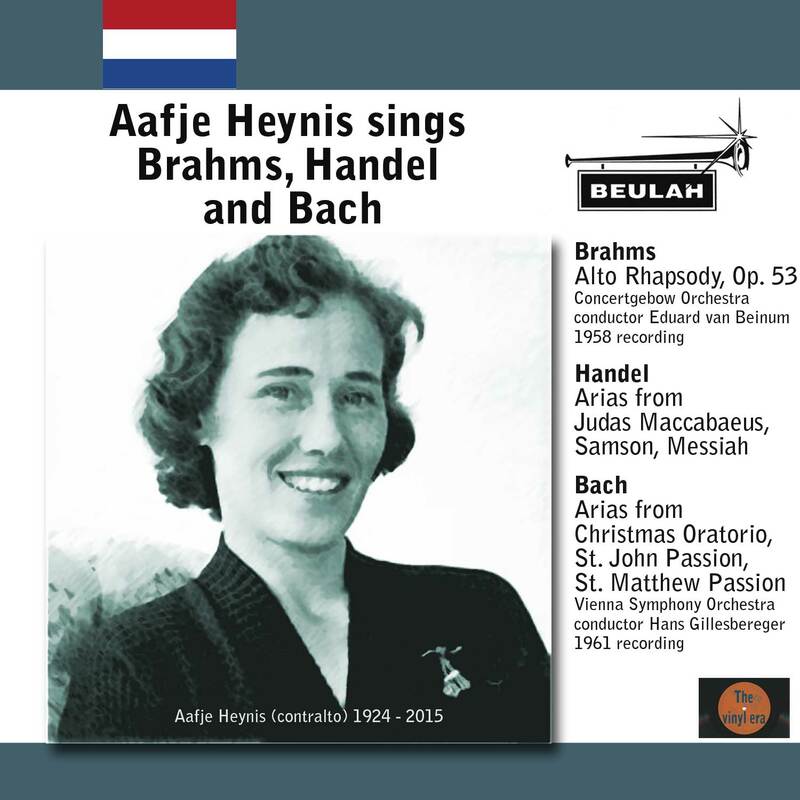 " Alto Rhapsody, Op.53, is the main work on BEULAH 1PS8, sung by Aafje Heynis (contralto) with the Concertgebouw Orchestra conducted by Eduard van Beinum on what must have been one of his last recordings. Sadly, the sound is little if any better now than I found it then: non-one can get more out of a recording than was originally there and this is very sub-fusc for Philips’ engineering of the time. Heynis’s many admirers, of which I am one, however, will probably persevere for the sake of the performance. "The other items are works by George Frideric HANDEL – Arias from Judas Maccabæus, Samson and Messiah, and Johann Sebastian BACH – Arias from the Christmas Oratorio and the two Passions, with the Vienna Symphony Orchestra conducted by Hans Gillesberger in 1961. 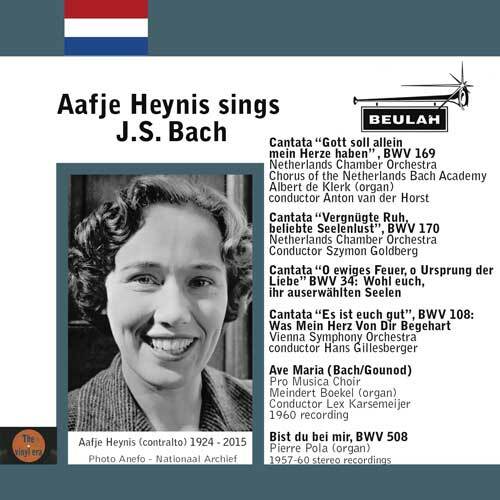 Not first-rate accompanists, but with stylish performances, especially from Heynis, this neatly supplements the Bach on 2PS8 above ." 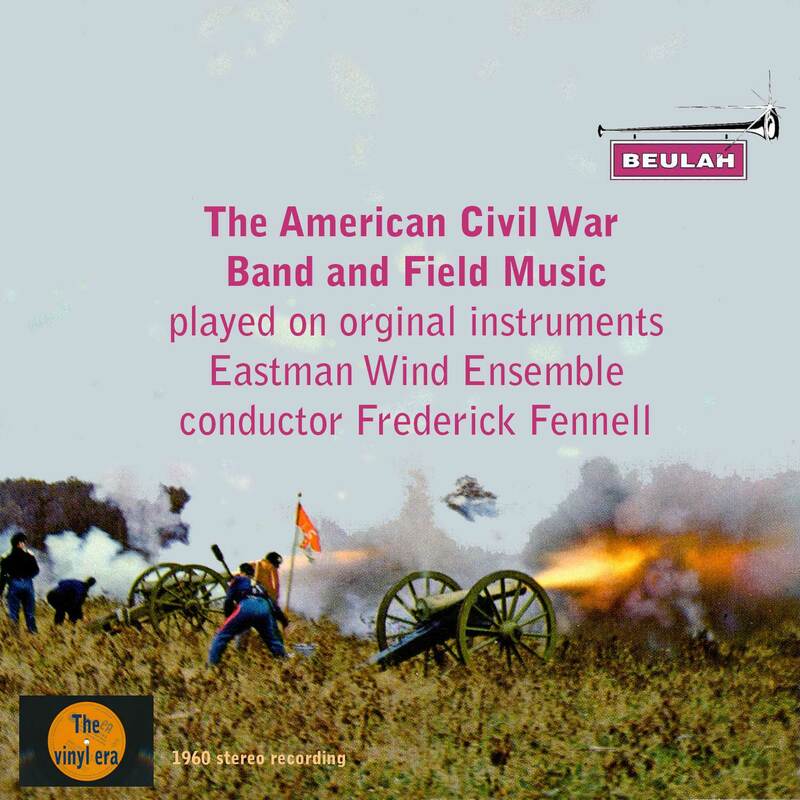 "Hard on the heels of Beulah’s collection of British Regimental Marches (1PD17) comes a selection entitled The American Civil War Band and Field Music, played on original instruments by the Eastman Wind Ensemble/Frederick Fennell (BEULAH 10PD82) [60:03]. The opening work, James Sanderson’s Hail to the Chief is well known, but most of the rest of the pieces are otherwise available only from the same performers in a longer selection on a Mercury 2-CD set." "